Evergreen’s thriving Music Technology curriculum is well supported in both the full and part-time curriculum. 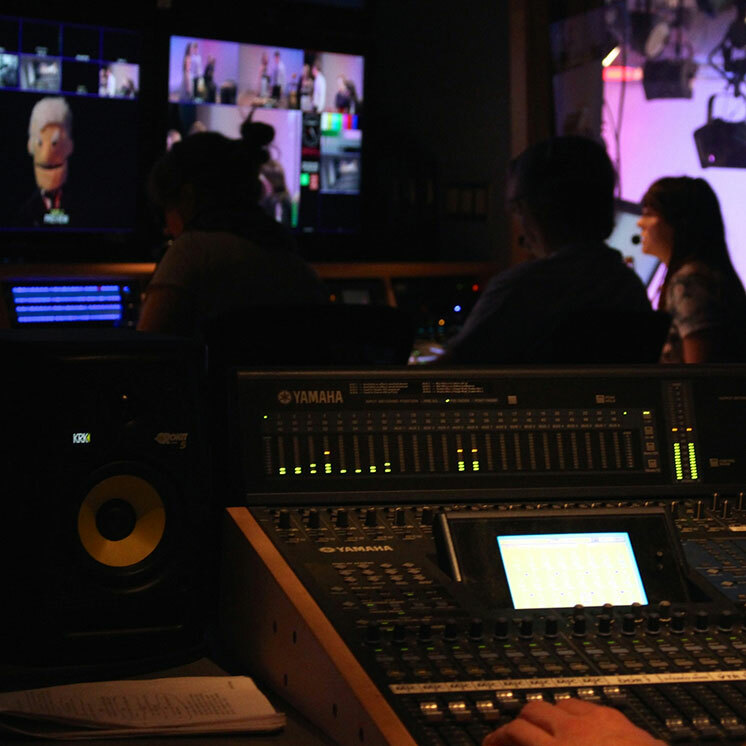 Electronic Media staff support and teach in a broad range of analog and digital music technology facilities in the Communication Building. Evergreen's Music Technology facilities are well-equipped with a wide variety of modern and vintage analog synthesizers and gear as well as cutting-edge digital audio workstations and plug-ins. Beginning-level students enrolled in Introduction to Electronics in Music work in the COM 343 and COM 344 Music Technology Labs, while students enrolled in Hybrid Music are also able to work in the more advanced Hybrid lab in COM 346 and Hybrid suite in COM 347. In addition, Media Loan circulates a wide range of professional level audio equipment to support both field work and work in the various labs. They also are responsible key checkouts and some scheduling of the various facilities. Questions about Music Technology programs, facilities, and technical problems are best directed to Patrick LaBahn at (360) 867-5277 or the Media Services Help Desk at (360) 867-6253. Learn more about Evergreen's Music Technology Labs/Studios.